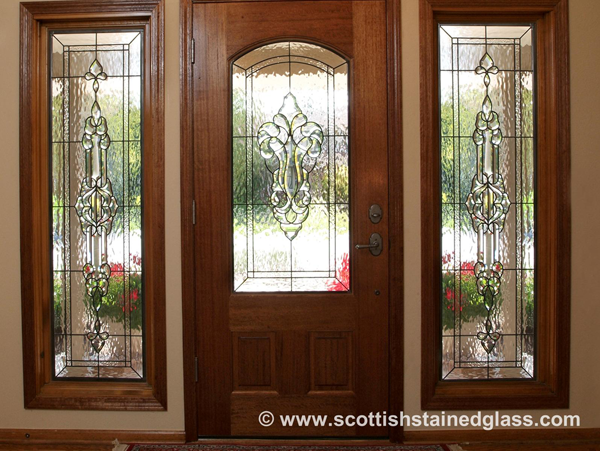 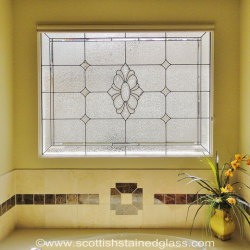 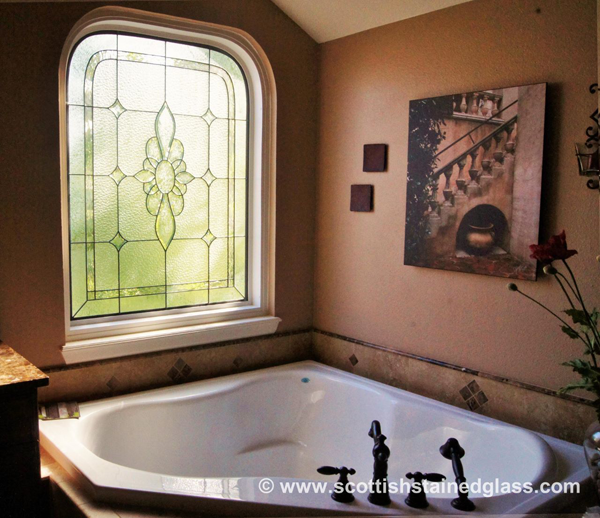 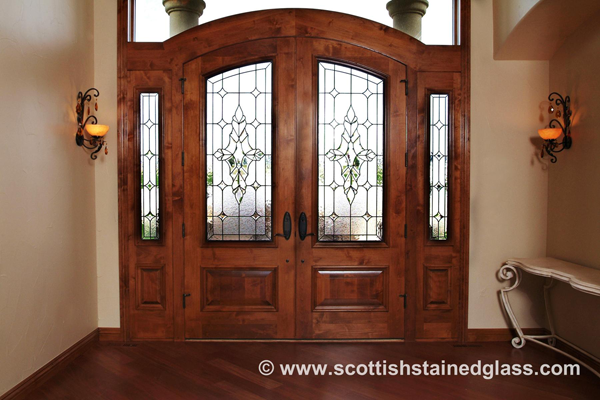 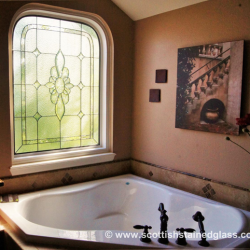 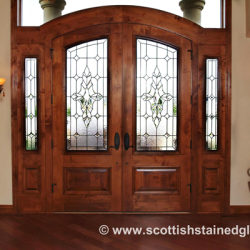 At the Scottish Stained Glass Kansas City studios, all the window and door panels we make are custom designed. 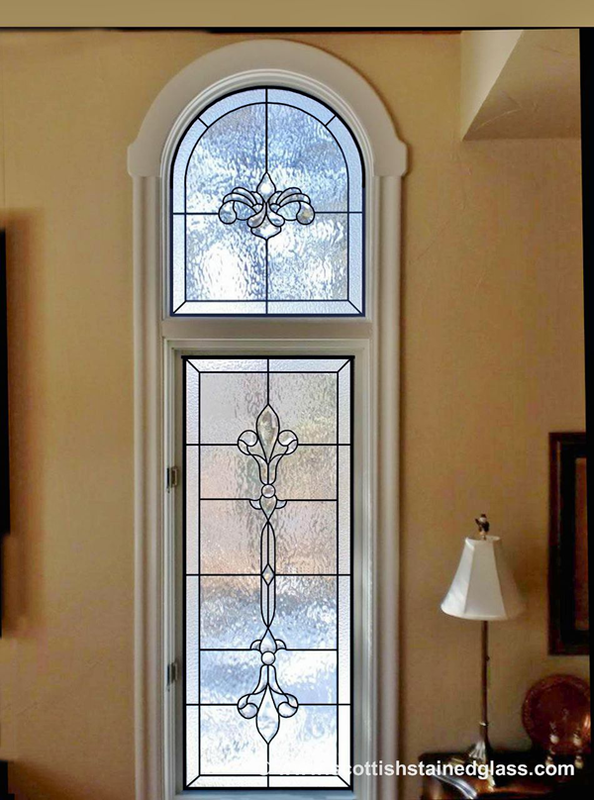 Our designer Meghan is an expert at helping you with the choices which number in the tens of thousands of designs and colors. 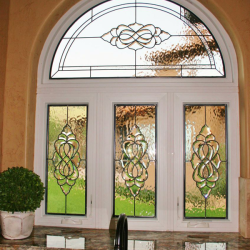 Your project starts with our free in-home design consultation. 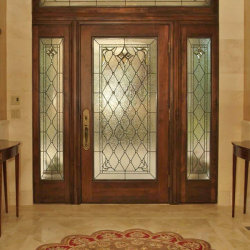 After we determine the architecture of your home and the styles of your furniture and decor we can truly begin to give you our best recommendations. 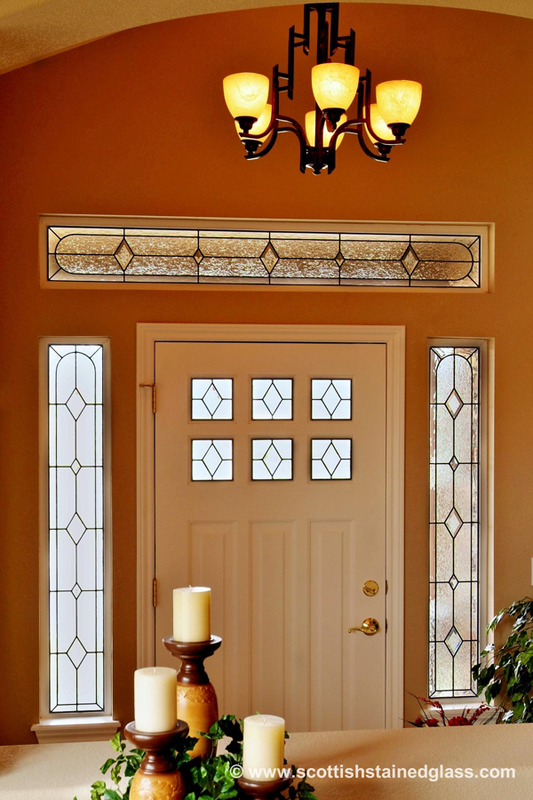 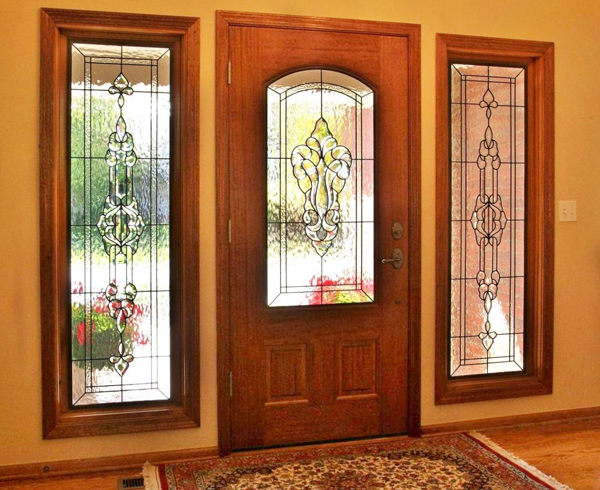 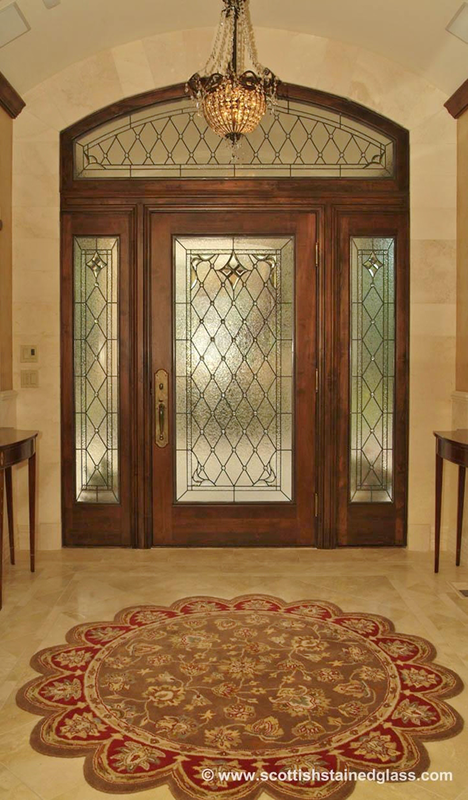 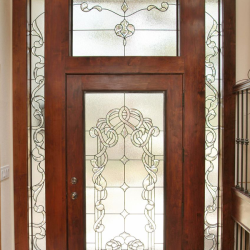 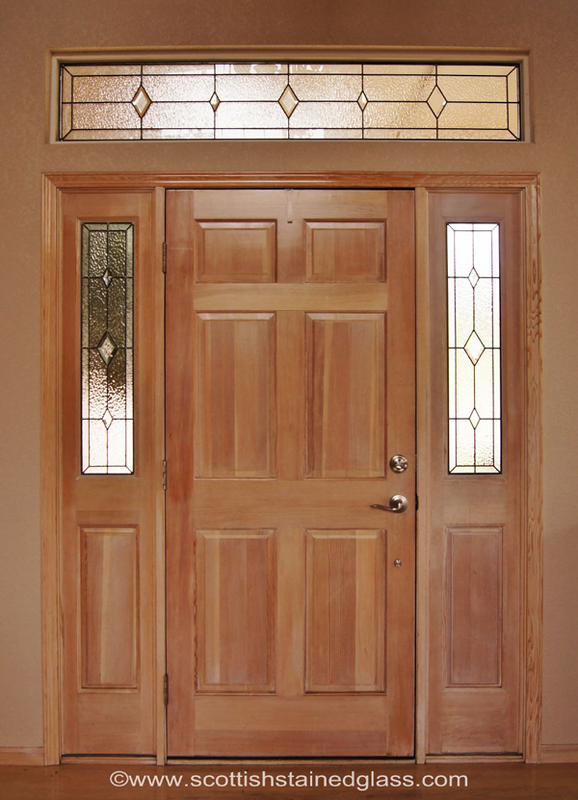 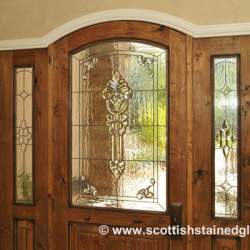 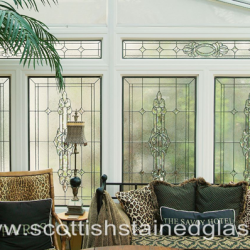 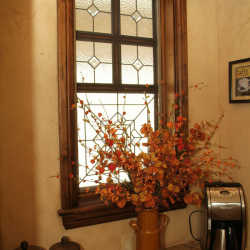 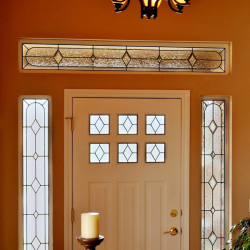 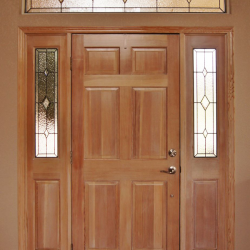 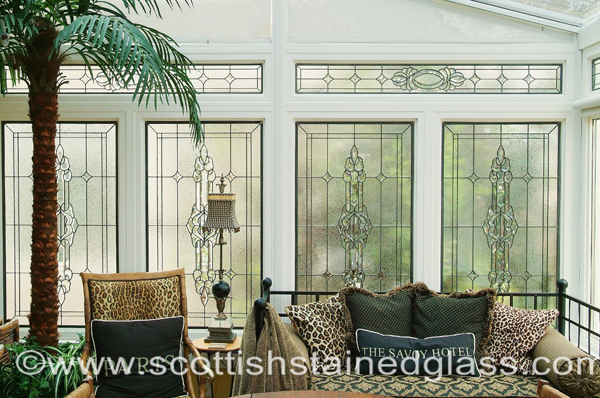 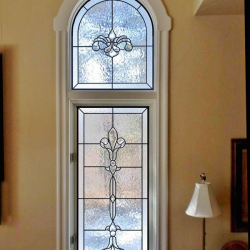 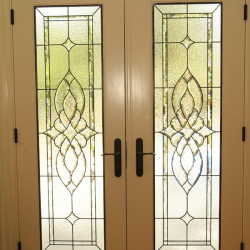 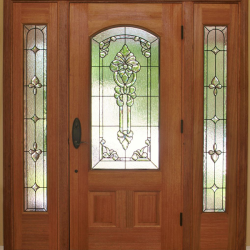 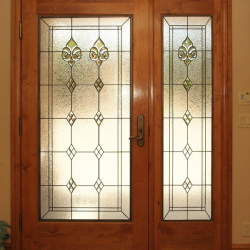 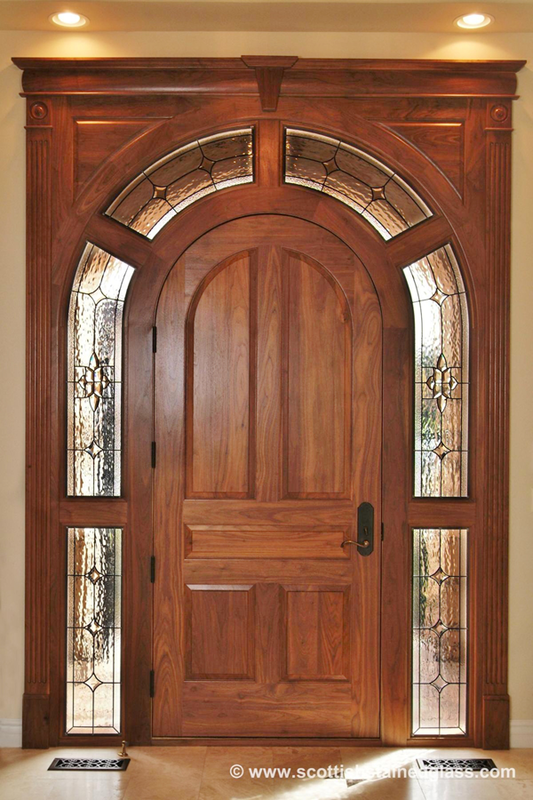 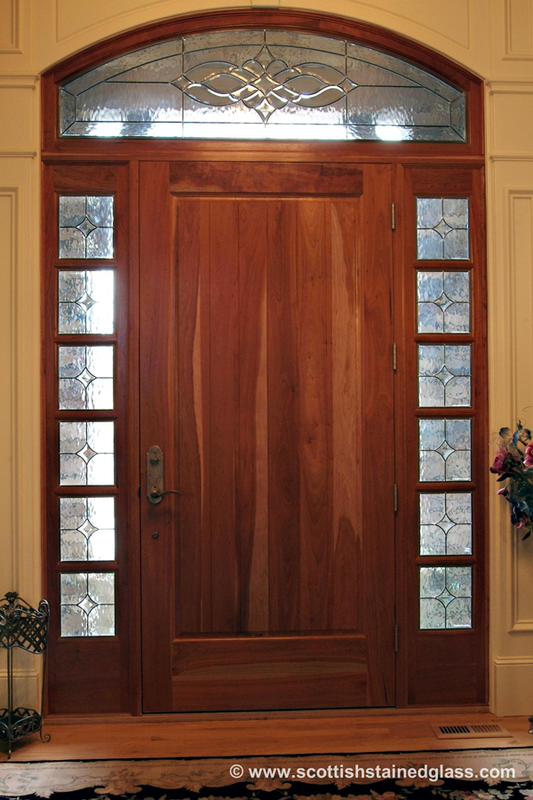 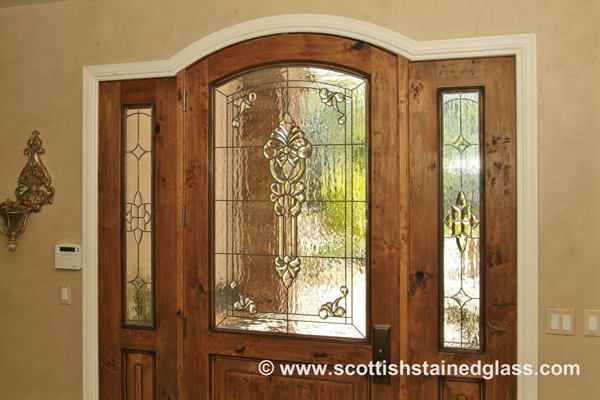 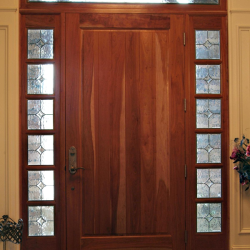 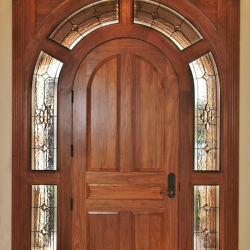 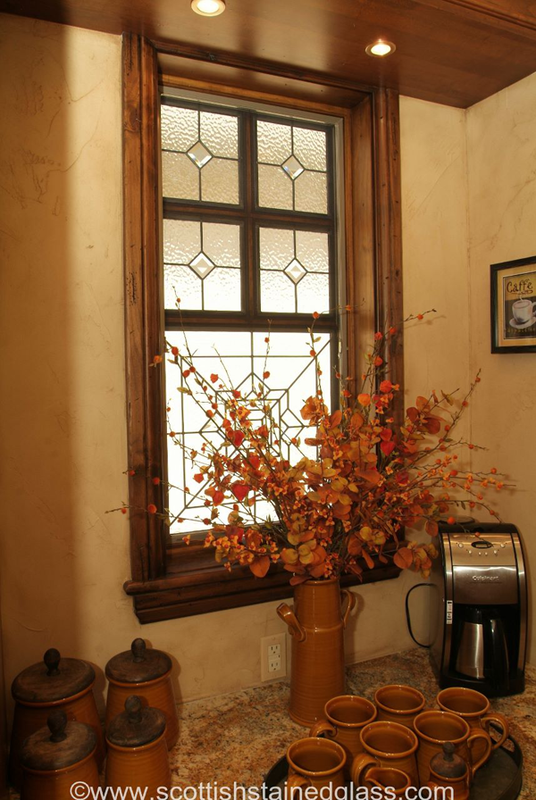 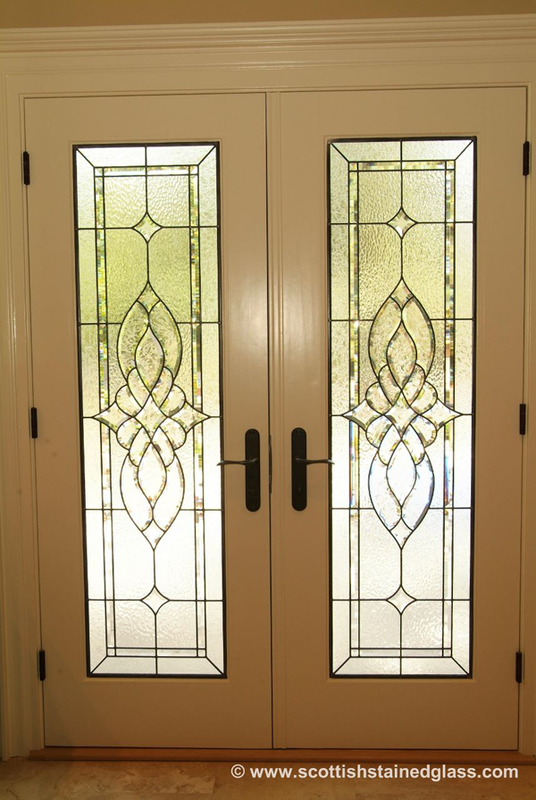 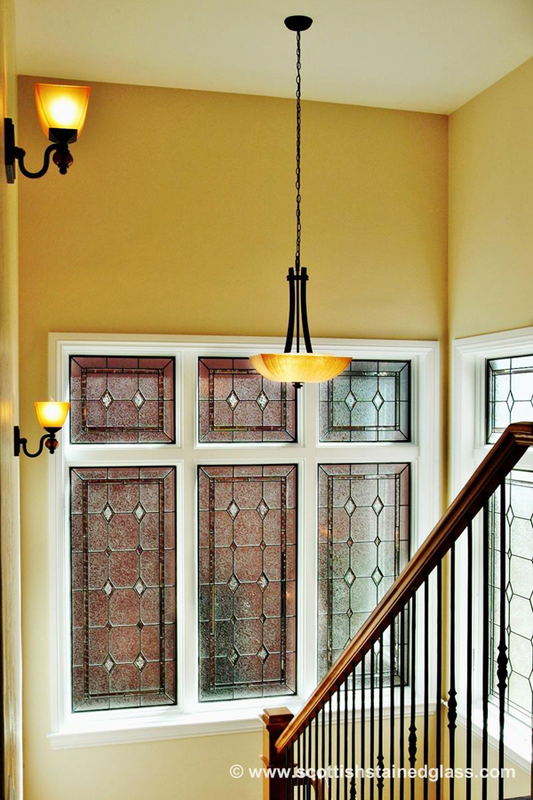 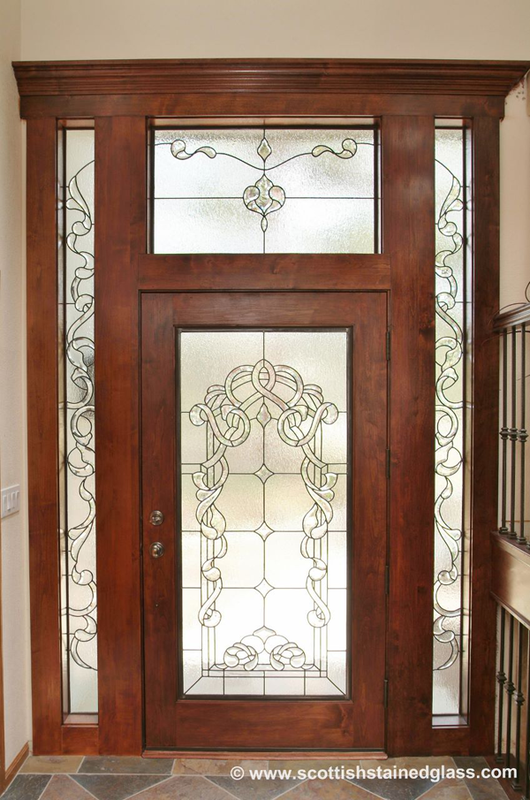 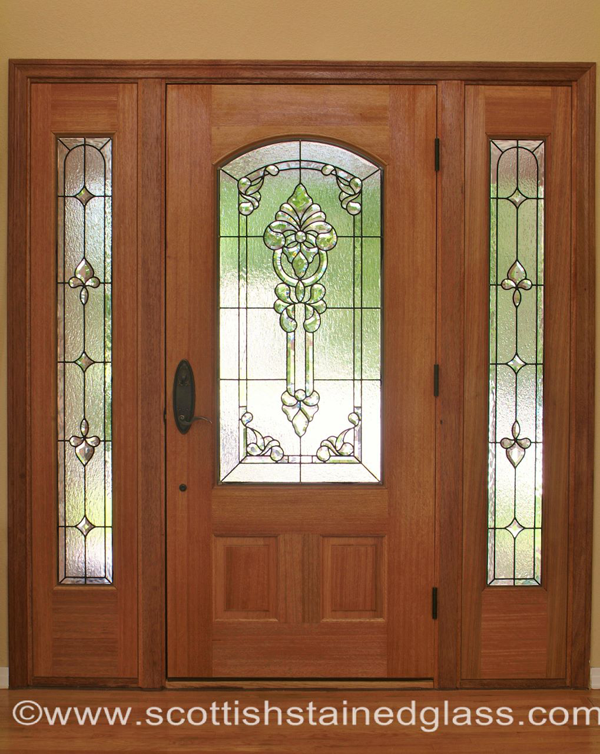 If your home has a traditional feel we are likely to suggest leaded glass which would fit in with a traditional decor. 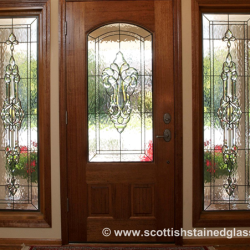 This often involves the use of beautifully handcrafted beveled designs. 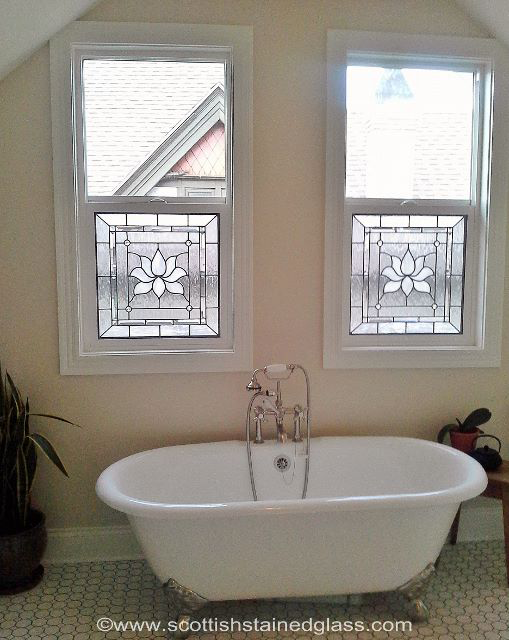 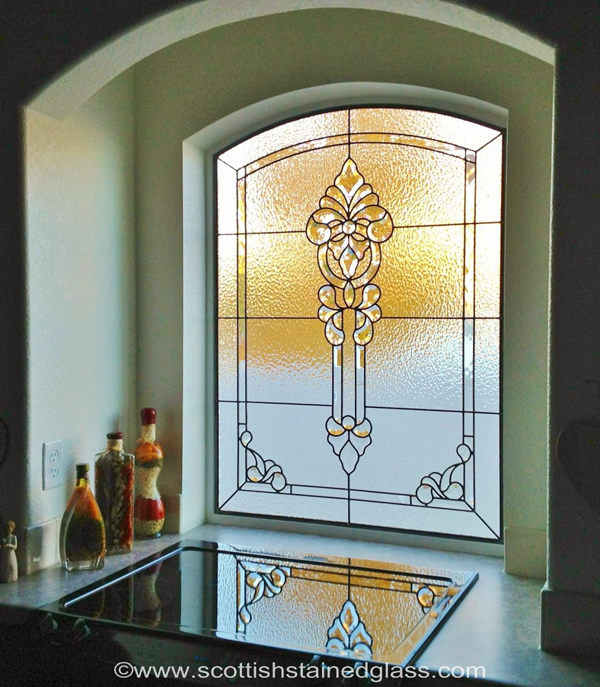 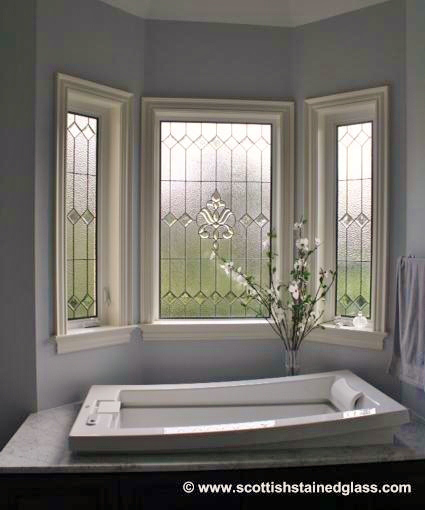 These custom stained glass bevels have a timeless quality and will look good for the entire life of your home. 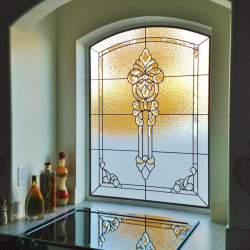 Homeowners often change the colors of the walls or the carpets over time but by using cut glass bevels the stained glass in your home will never go out of style. 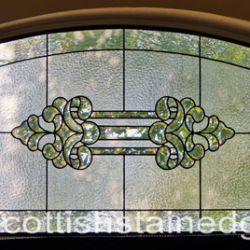 By offering a custom stained glass service to all our clients at no extra charge we can also incorporate our client’s ideas into the stained glass where appropriate. 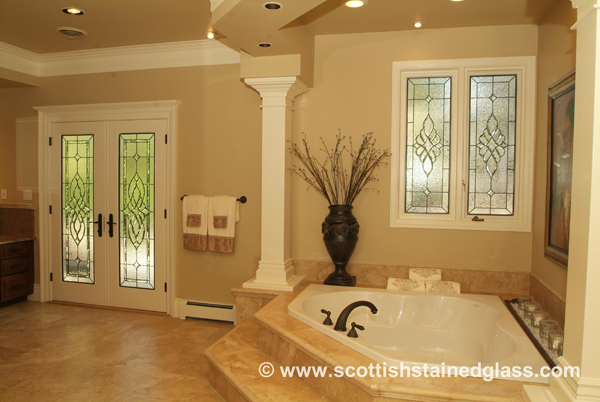 Many of our clients have ideas but are unsure how to express them. 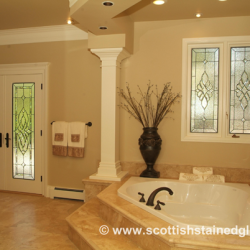 Our designer will help to bring these ideas to reality in a collaborative effort which will give the client the satisfaction of knowing that he or she was a part of the whole custom design process. 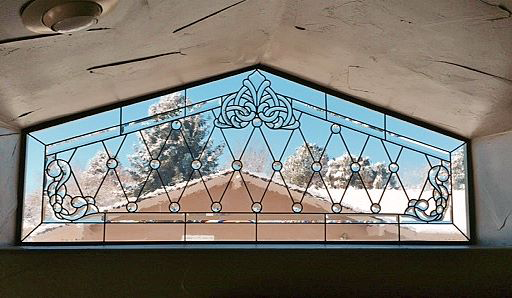 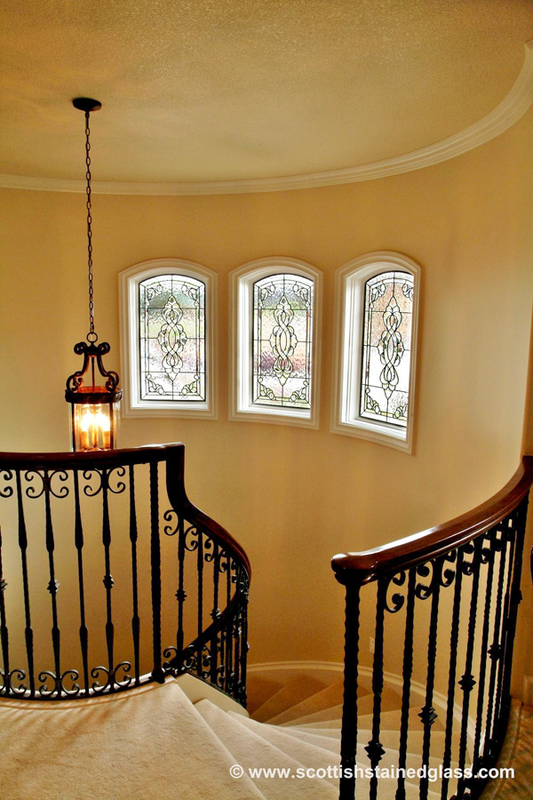 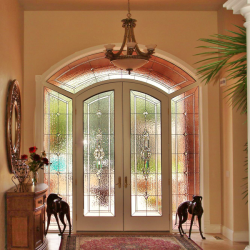 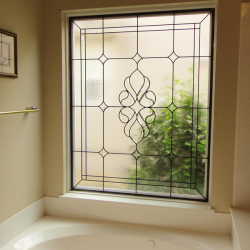 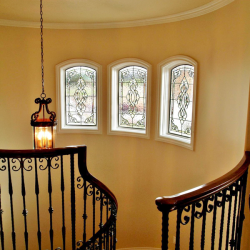 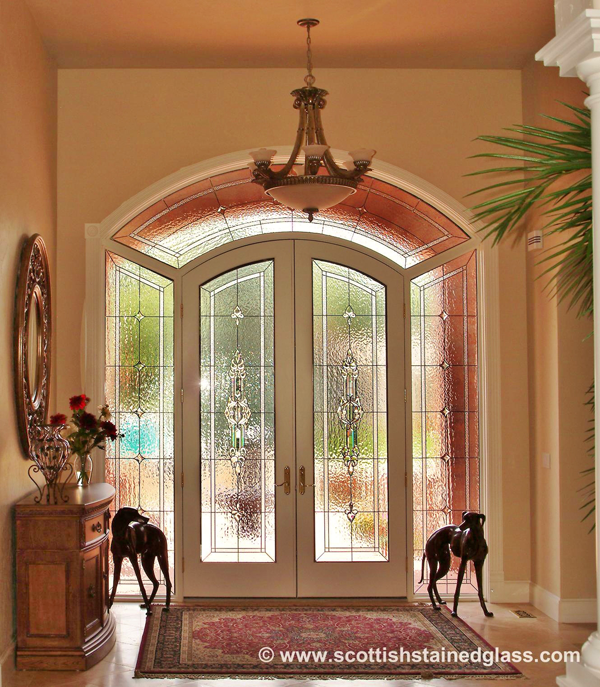 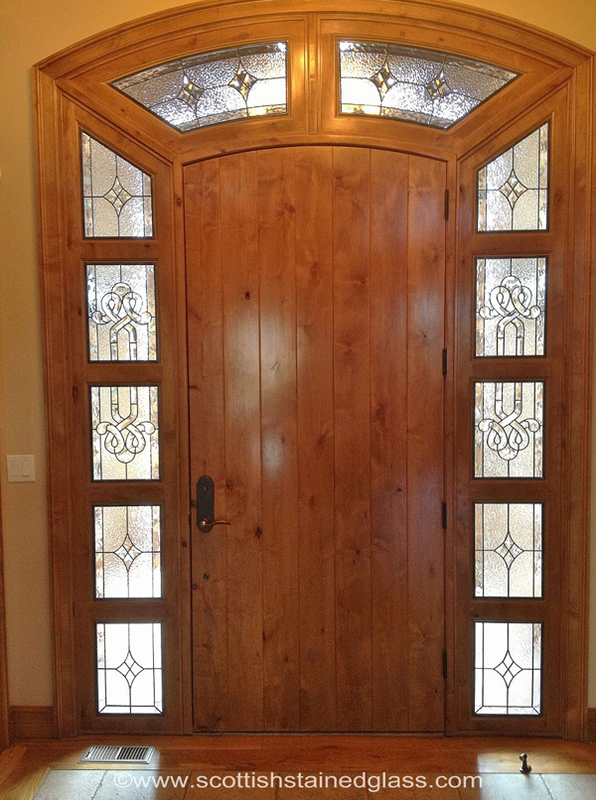 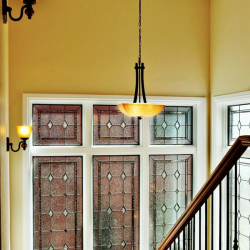 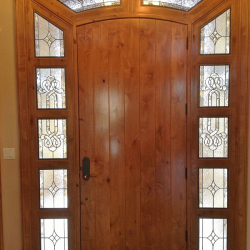 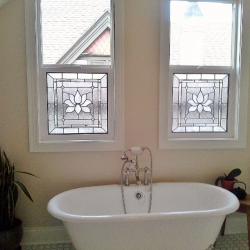 The fabrication of your leaded glass is a process we have perfected over the years. 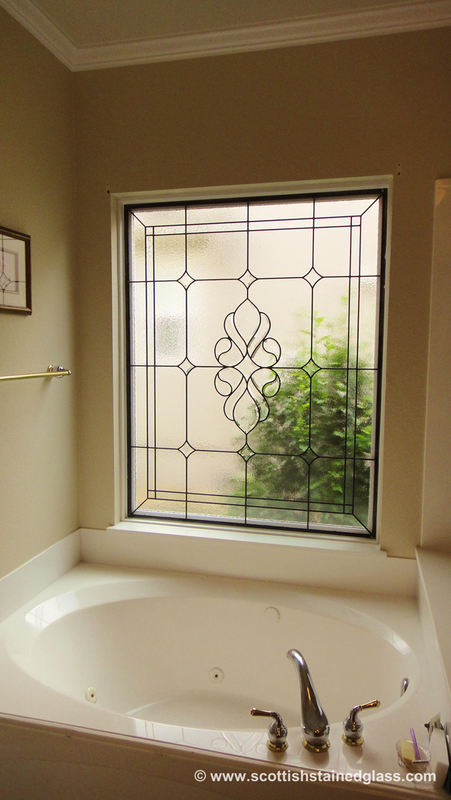 We are so incredibly picky about every detail of your window that we occasionally drive ourselves crazy! 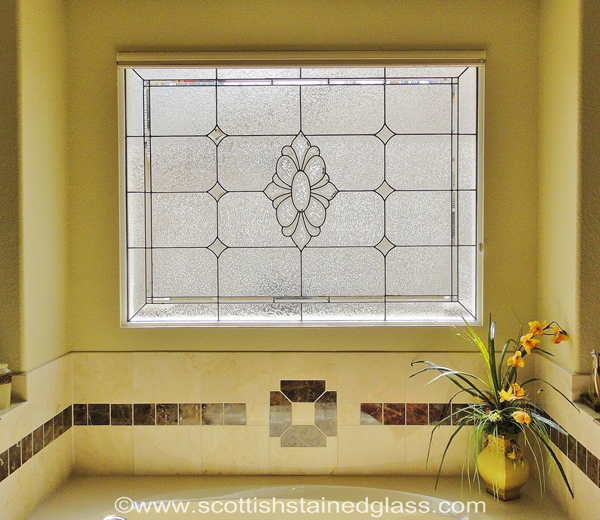 However, the result is an amazing quality of product completely unmatched in the glass world. 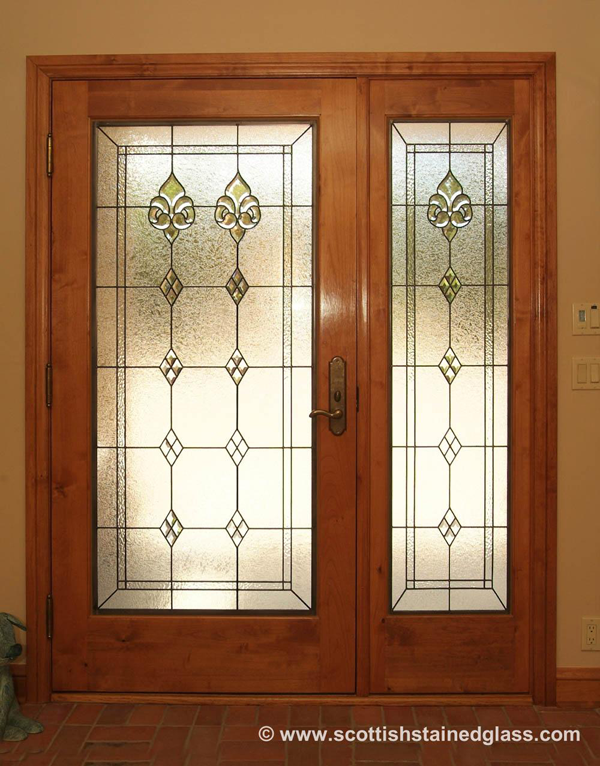 To prove our claims you can call us anytime and we will bring you a sample to show you the quality and beauty of our work. 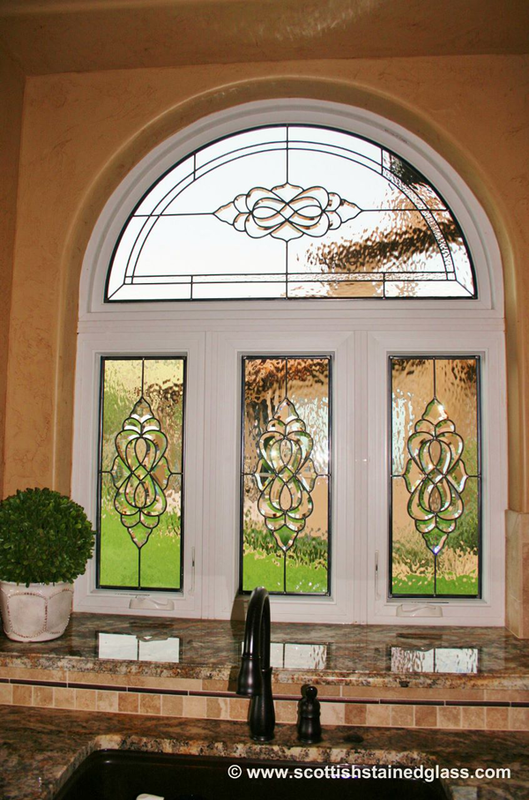 The final step in the process is to deliver the glass to your home and install it. 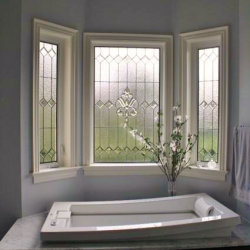 We have several methods of achieving the perfect install and our highly trained installers are always willing to give you options. 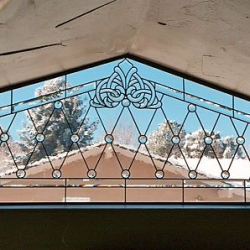 We will always try to integrate the installation of the stained glass in such a way as to make it look like it has always been there and was architecturally designed at the same time as your home was built. 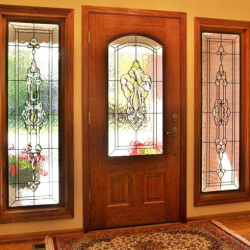 Our installation service is FREE to all residents of the Kansas City metro area.